Jaipur, 29 November, 2016: History holds immense relevance in today’s world, especially politics, and the youth should have greater awareness of their past, said Lok Sabha MP, Dr. Shashi Tharoor. He was speaking at the launch of his recent book ‘An Era of Darkness: The British Empire in India ‘ in Jaipur today. 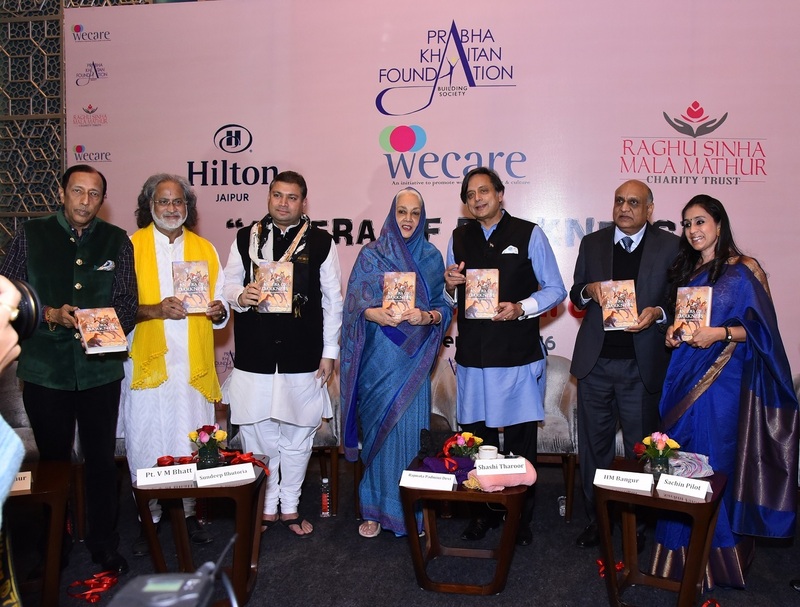 The event was an initiative of Prabha Khaitan Foundation in association with We Care and Raghu Sinha Mala Mathur Charity Trust and Hotel Hilton as the venue partner. He further said that this book is an attempt to look at what exactly the British did and examine the arguments made in favour of the British rule including those of some Indians. The so called development by the British Empire in India such as railways, Indian Civil Services, Army, among others were only to serve the vested interests of the British. Dr. Tharoor said that contentions such as the British rule in India laid the foundation for modern civilization and globalization are flawed. In fact, it has been rightly stated by American historian and philosopher, Will Durant that British empire in India is the greatest crime in all human history, added Tharoor. While talking about the inspiration behind this book, he said that his speech at Oxford last year and the impact it made on the public imagination of the Indian diaspora spurred the making of this book. While speaking to him, Sachin Pilot asked whether if the British had not ruled India would the country still have become united as one and made progress in the fields of railways, democracy, and other such modern facilities. Tharoor was of the view that it would certainly have happened. He categorically stated that no country needs to undergo colonial rule to have railways, telegraph system, bureaucracy etc. Rajmata Padmini Devi of Jaipur, Industrialist, H.M. Bangur and musician Vishwa Mohan Bhatt were also present on the occasion.